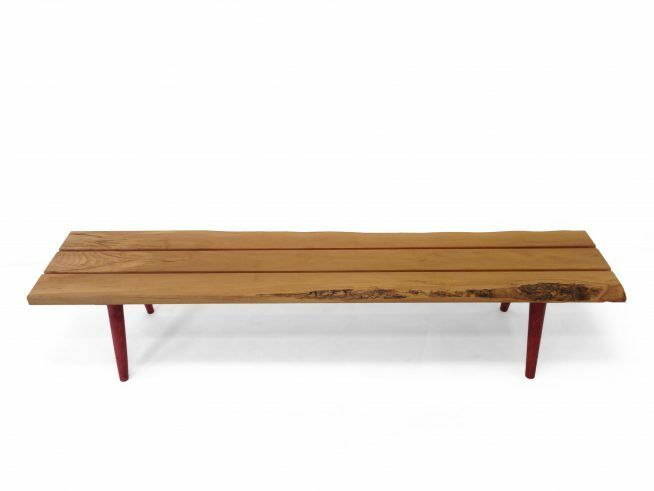 These benches are a riff from a design our great uncle, an architect and designer, had done back in the late 1940’s. We have done a number of them in a variety iterations that you can see in this available section of the site. Or come into the showroom and have a look for yourself.